art. see it! create it! buy it! Destination: Art has one mission. We want to enable our artists to create wonderful artwork that we can present to the community through our gallery and events. Our educational programs give the artists better tools and processes to build on their talents. 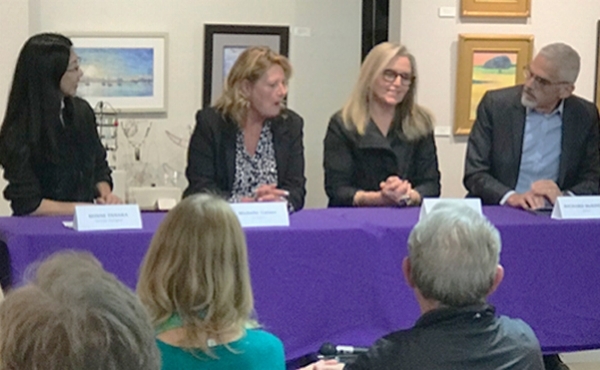 With our events such as the annual Artwalk and popular Art2Go sale we give art lovers and collectors a place to discover new art experiences. Our gallery exhibits a variety of work from local artists featuring everything from abstracts to vivid realism. We also offer opportunities to meet the artists in the studios to discuss their art and your art interest. 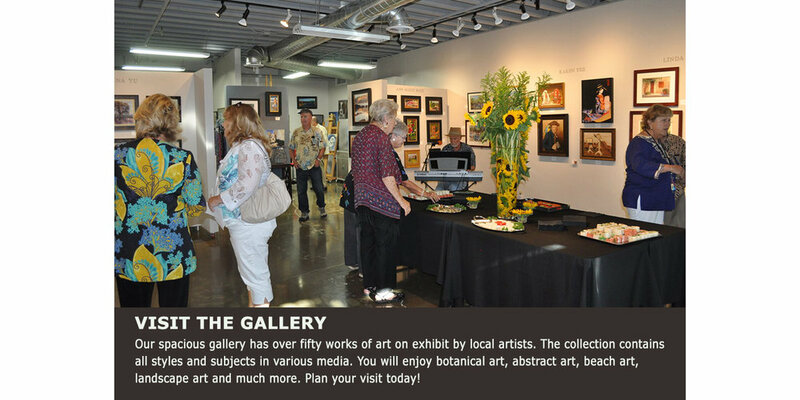 We bring artists and the community together with our gallery and special events. Please help us move our mission forward. Sign-up below for our newsletter to get updates on our events and classes. See you soon! Destination: Art is a combination of art studios, open to the public, and a gallery, You will see artwork by twenty artists on display. In the studios you can talk art with the artists working on any given day to understand their process and inspiration. Most art on display is available for purchase. Several art classes are offered every month covering various styles and mediums. Our instructors are studio and gallery artists, as well as visiting artists from around the country. Checkout our classes and workshop page to see a complete schedule and more information. Our spacious gallery has over 50 works of art on exhibit by local artists. The collection contains all styles and subjects in various media. You will enjoy botanical art, abstract art, beach art, landscape art and much more. Destination: Art has a beautiful facility that can be rented for meetings and functions. The gallery is a special setting to provide a relaxing and enjoyable get-together. Get in touch to learn more about our space for your event! At Destination: Art, our resident artists are always eager to discuss their art and process. Currently, we have over 20 gallery and studio artists. Take the opportunity to learn about our artists and view their works. Our Associate Artists provide ongoing support for our mission to elevate the art experience in our community. We encourage all local artists to join us in our mission through an annual membership. Let's make a difference together! Sign up with your email address to receive updates on classes and upcoming events!